Sankt Laurent is presumed to be a natural Pinot seedling. 147 hectares are planted with the variety, comprising 6.7 % of the region’s vineyard area (statistic 2016). Its exact origin is uncertain. The pharmacist and viticulture pioneer Johann Philipp Bronner brought the variety from Alsace to Baden-Württemberg and from there it found its way to Austria. The variety is first documented in Austria in the grape variety cadastre of 1863 at the “First Austrian School of Viticulture and Pomology Klosterneuburg”. The 2-kilometre long St. Laurent vine-yard hiking trail in Tattendorf is a highly recommendable and enjoyable way to get to know the variety directly where it grows. 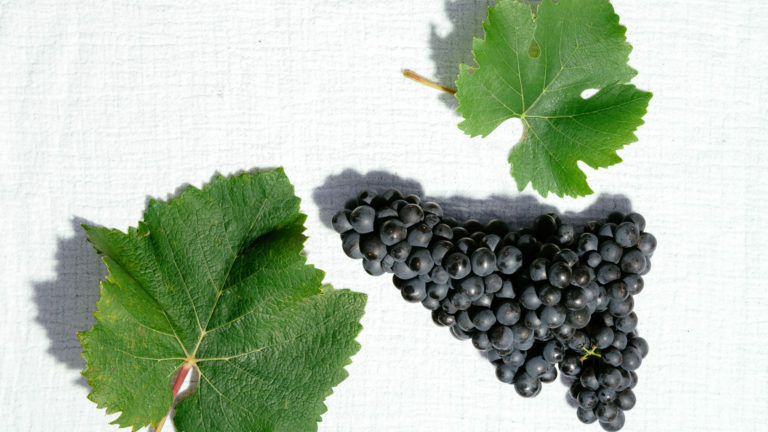 The cylindrical grape bunches and small berries are indicative of a Burgundian heritage. The medium large leaves have five lobes. Particularly interesting is the early flowering of the variety and a rather late ripening. The name St. Laurent stems from St. Lawrence Day, which falls on August 10. According to legend this is the day that verasion begins – the day grapes begin to colour. Harvest takes place after mid October, usually around two weeks after Pinot Noir. St. Laurent is sensitive during flowering, sensitive to late frost and thus also irregular in yield. It demands good, early sites and adores light, calcareous and nearly meagre soils such as those found in southern Thermenregion. St. Laurent is inherently elegant, full of finesse, and never overpowering. Typical are aromas of amarelle cherries or dark berries and a fine-grained tannin structure.